The next generation of security monitoring is here. 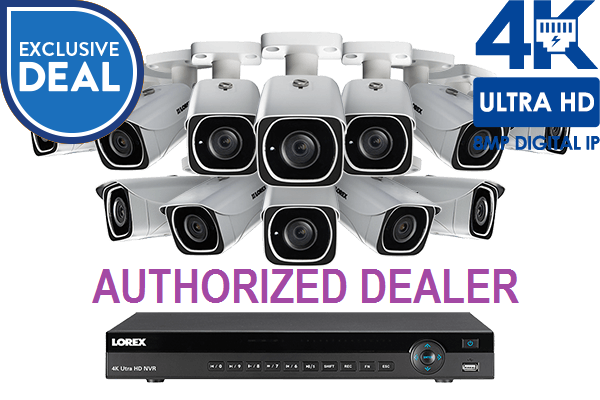 With industry-leading 4K (8 megapixel) resolution, the 4KHDIP1612W security camera system from Lorex will bring a whole new level of detail to your security monitoring. 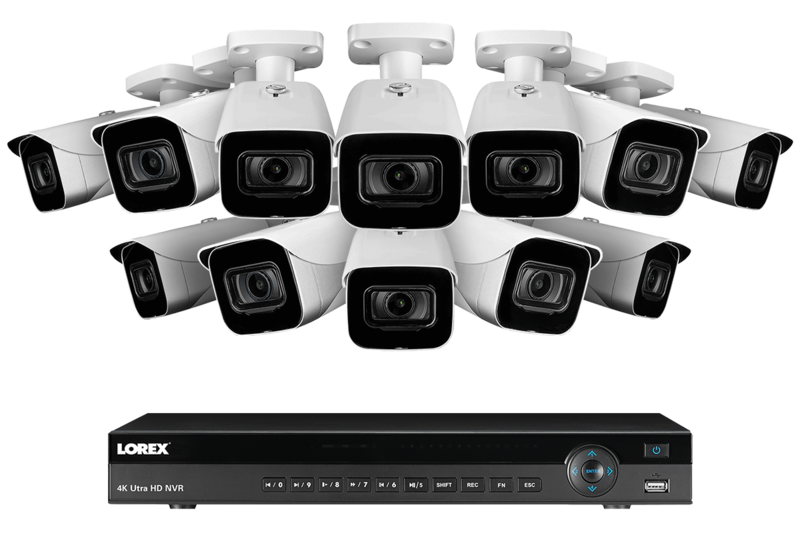 It includes our revolutionary 4K capable 16-channel NR900 Series network video recorder (NVR) and twelve LNB8111B 4K bullet security cameras. Whether you are looking to protect your home, small business or commercial property, this powerful security camera system will help you secure the things that matter most. The included LNB8111B security cameras are capable of recording stunningly detailed security footage. The 8-megapixel image sensor within the LNB8111B security cameras can record a pixel resolution of 3840 x 2160 at 15 frames-per-second (FPS) – that’s 4x the resolution of 1080p. Don’t miss out on those ever-important details. 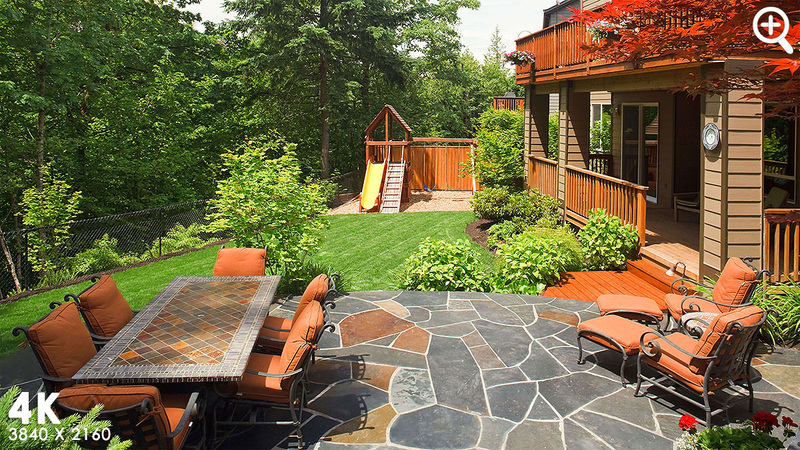 The additional resolution provided by your 4K security cameras will allow you to digitally zoom in further on distant objects when analyzing footage. This is because every frame contains more pixels than you would receive with a 1080p HD security camera. So the details won’t deteriorate as quickly as you zoom in further and further, which means you have a much better chance to capture the specific evidence you require. Every security camera in this bundle also uses a wide-angle lens that provides an expansive field-of-view. 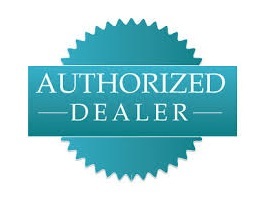 NVR systems include a Network Video Recorder (NVR) and HD digital IP security cameras. This type of technology uses Cat5e ethernet cables. NVR systems feature HD recording, remote viewing, and motion notifications. This 4K security camera system will be up and running in no time thanks to Power-over-Ethernet (PoE) technology. All that is required to connect each of your security cameras to your NVR is a single Cat5e ethernet cable run. This cable provides both power and video transmission up to 300 feet / 91m. 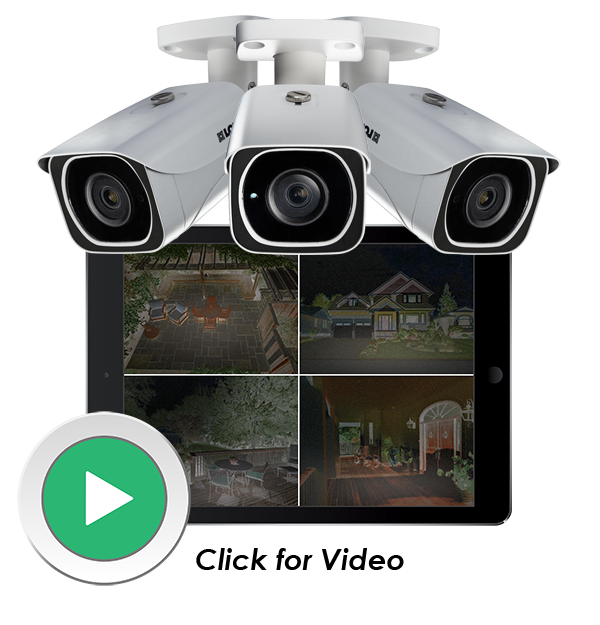 This 4K security camera system is designed for use with our innovative FLIR Secure app for your mobile device. 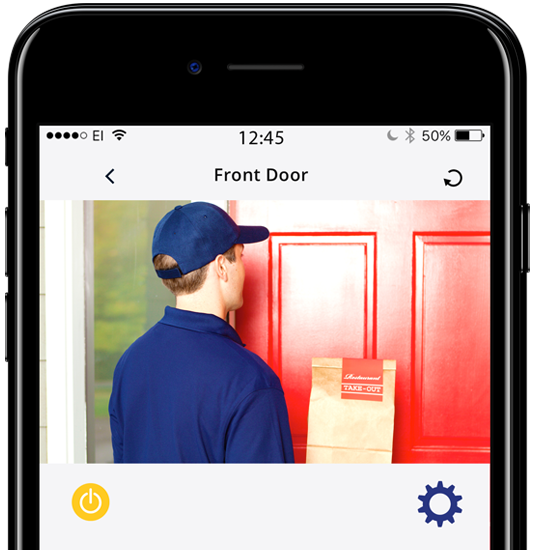 Using this app, you will be able to securely view your security cameras from virtually anywhere in the world, keep track of all motion activity with easy-to-read timelines, and receive push notifications for motion-triggered events. You will also be able to turn a camera on and off anytime you wish (a first for NVR security systems) using the new privacy feature. The FLIR Secure web viewing portal is also available for PC and Mac personal computers. 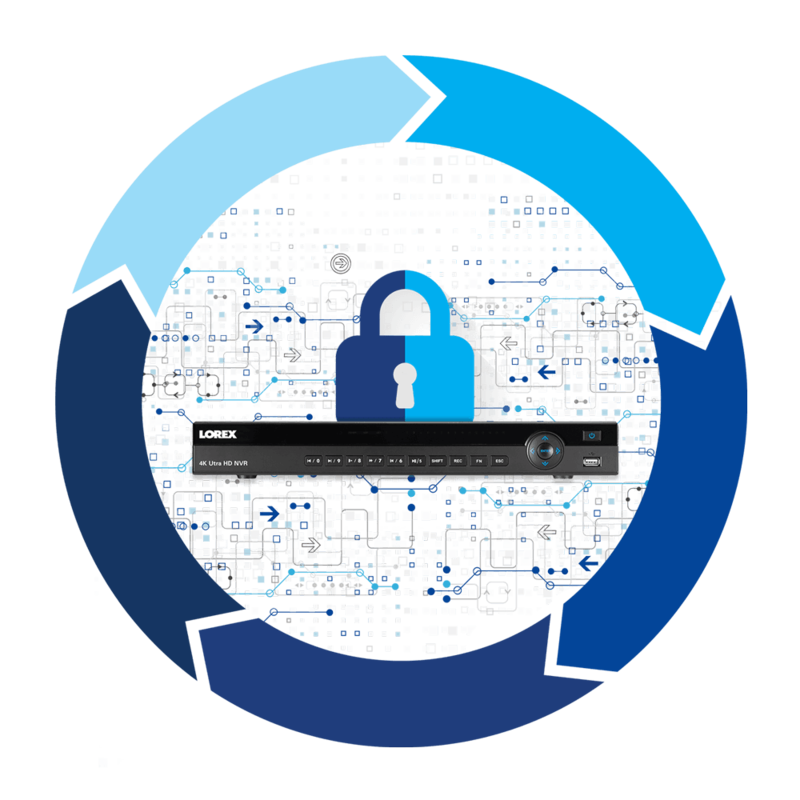 This app brings cloud recording, RapidRecap® and countless other features to your security monitoring. Unite your FLIR monitoring solutions in a single application. 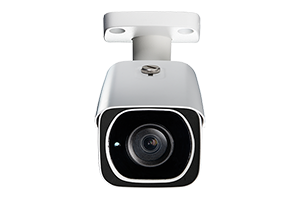 FLIR Secure™ is compatible with a wide variety of FLIR security cameras and devices. Includes Free FLIR Cloud Basic plan. 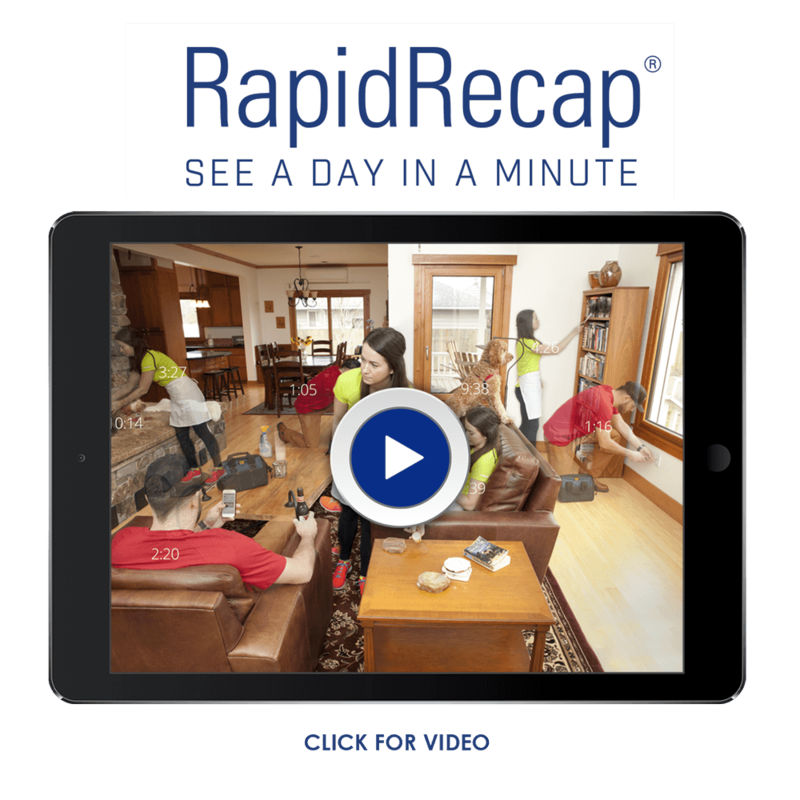 RapidRecap® videos quickly compile up to 12 hours worth of activity into a short video summary. Watch as all motion events are superimposed onto your screen simultaneously with accurate timestamping to tell you what happened and when. This feature can be found in the timeline section of the FLIR Secure mobile app. 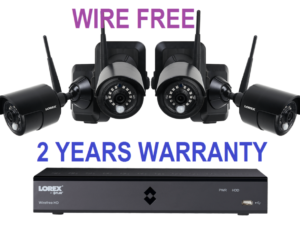 This security camera system comes with a free Lorex Cloud Basic plan. It includes limited cloud storage, cloud history, and RapidRecap videos for one camera (defaulted to channel 1). Upgrade this plan to a Lorex Cloud Premium plan for 30 days of cloud history, unlimited cloud storage, and unlimited RapidRecap videos. 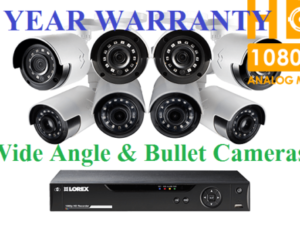 All security cameras included in this security camera system are engineered to withstand all types of weather conditions. IP66 rated, they can endure torrential downpours or furious snowstorms, not to mention freezing temperatures as low as -22°F / -30°C. Heavy-duty (yet durable) metal housings and vandal-resistant designs make these security cameras a dependable choice for year-round security that never stops working. 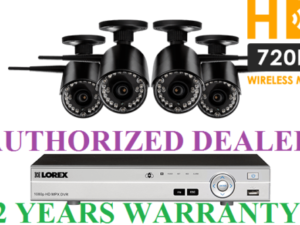 These Lorex security cameras have been rigorously tested in the most frigid conditions to ensure that they will continue to function even in extreme cold. Tested in temperatures as low as -22°F / -30°C, they are guaranteed to keep you secure, no matter what they endure. 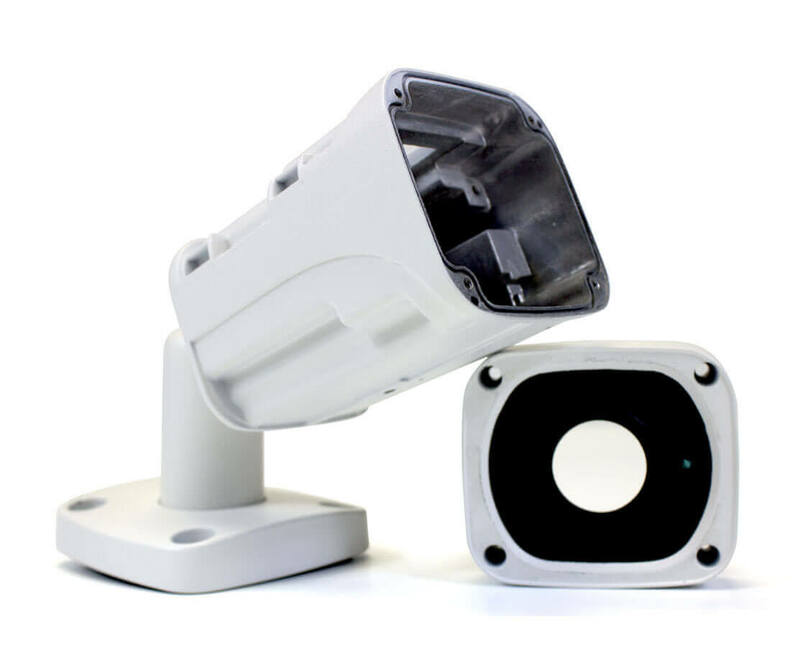 Built from a solid unibody metal housing, the LNB8111B allows for durability while still maintaining a lightweight design. The corrosion-resistant aluminum body makes these camera perfect for both indoor and outdoor use, protecting them from even the harshest of weather; rain, snow, or hail. Engineered from the same material that is used in construction of airplanes and cars, these Lorex cameras are strong enough to withstand large impacts unlike conventional plastic security cameras. The built-in 3TB security certified hard drive within your NVR will safely store weeks of uninterrupted security footage. Choose to record at a lower resolution or program scheduled recording times for longer record times. The motion-triggered recording option can save even more storage by recording only when movement is detected. The LNB8111B 4K security cameras and the NR900 Series NVR in this bundle come equipped with HEVC (High Efficiency Video Coding), otherwise known as H.265, video compression capabilities. 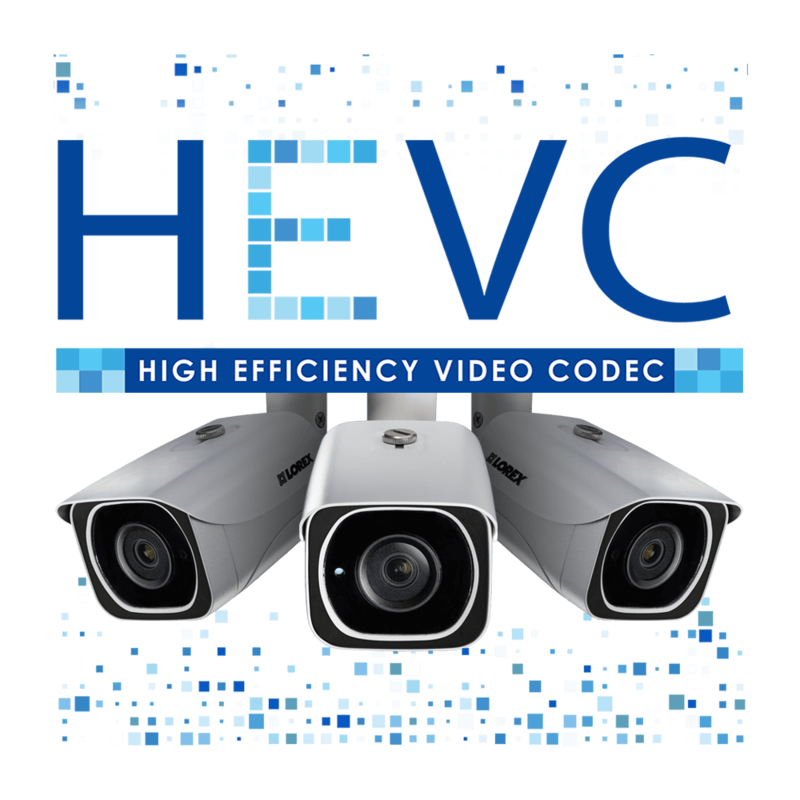 Thanks to this improved compression, HEVC delivers significantly better video quality with similar file sizes as H.264. This means that HEVC will keep the 4K video quality, but save you plenty of storage space and allow you to record for longer periods. 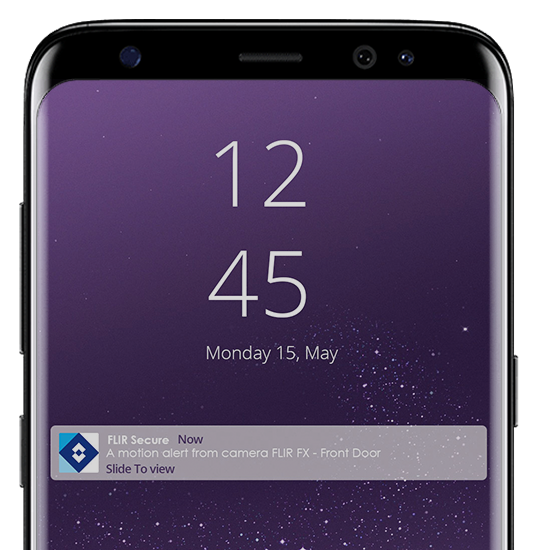 It will also let you watch the highest quality security footage while you are away from your home or business without large data transfers. Your NVR will automatically update its firmware as long as it is connected to the internet. These updates are free-of-charge and will always make sure that your security system is up-to-date and safeguarded from any new vulnerabilities. 6. Both firmware and software must be updated to latest version to ensure remote connectivity. 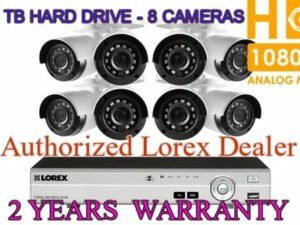 Firmware updates are pushed to the NVR automatically over the Internet (available at www.lorextechnology.com). Always update to the latest software after upgrading the NVR firmware. Your item will be shipped from manufacture warehouse within 1-4 business day(s). After shipping, items are usually delivered within 1-5 business days.